[Boyz II Men voice] "Its soo haaard, to say goood-bye, to the N-B-A-A-A, eeeeehheeeeheee!" In case you missed the recap of the recap! 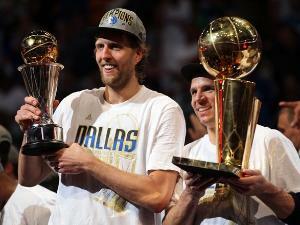 In the 2010-11 NBA Finals, the Dallas Mavericks battled the Miami Heat for the Larry O'Brien Trophy. The South Beach trio proved alot of skeptics wrong, and alot of bandwagons right. Ultimately putting it together when it mattered most and scorching through the playoff to their first NBA Finals in their first year together. Chris Bosh was the unlikely sung hero of the group, being the most consistent throughout the playoffs after having a sub-par regular season. Dwayne Wade also looked to spectacular throughout the Finals, looking to defend his 2006 championship against the team his was able to mentally break down to win 4 straight en route to his first NBA title. Hoping to not make it his last, Wade turned out on both ends of the floor, making spectacular defensive stops and his usual highlight reel offensive daggers down the stretch when it didn't seem to come from anywhere else. LeBron James was unfortunately the biggest story of the Finals and maybe the NBA season as a whole. Playing under Derrick Rose's People's Choice MVP campaign, and ultimately Plaxico Burrising' himself in the foot by joining Wade and Bosh down in South Beach, he came into this season under more scrutiny than probably any other player at 26 in the history of professional sports. Every game, every press conference, every twitter entry was combed over fine tooth style in efforts to gain a big story off the "King". LeBron did not let the haters down in the Finals, mysteriously putting on his worst performance yet, statistically and aesthetically. Numbers alone have LeBron performing at record lows, dropping almost 10pts a game from his career average at 16.6ppg, 7reb, 6ast. It wasn't however James performance in the crunch minutes that brought the haters in. LeBron scored just 3 points total combined with under 5 minutes left. Perhaps most startling of all is LeBron James’ crunch-time absence in a series that saw all six games decided late. When the score was within five points in the last five minutes, James has only scored 3 points in the series, making one of seven shots. Those numbers contrast sharply with Dirk Nowitzki's 26 crunch-time points on 8-13 shooting, not to mention the 34-point difference in plus-minus. That simply wasn't enough for the Miami Heat as the Dallas Mavericks ran away with the series winning three straight and ultimately clinching the NBA Championship on the same hollowed groung that the "Big 3" threw their championship celebration on. The Los Angeles Lakers went into the 2010-11 NBA playoffs looking to make history. Kobe Bryant, Pau Gasol, Lamar Odom and Andrew Bynum all looked to accomplish the first 3-peat since the 1997 Chicago Bulls. Ironically enough coached by none other than Phil Jackson who coached the Micheal Jordan lead Bulls team. The Laker's met a Dallas Maverick team that came into the playoffs as the 3rd seed. A deep team with capabilities to make a run, the Laker's were still looked at to move through to the conference finals. But Dallas had other ideas. 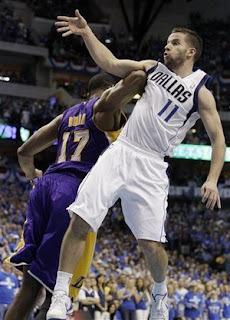 Dirk Nowitzki & Co. dismantled the Lakers, making Kobe look old, Pau look weak, and Andrew Bynum looking like a goon. The Dallas Mavs swept the Lakers 4-0, and ultimately made the franchise look more like a rebuilding team than a second coming of the Micheal Jordan Chicago Bulls. MVP, MVP, MVP. The chants can still be heard from Englewood to Ravenswood. The hometown kid Derrick Rose lead the Chicago Bulls to a multitude of firsts since the Micheal Jordan era. The Bulls finished the regular season with a 62-20 record, the best in the NBA, something the Bulls haven't done since 1997. 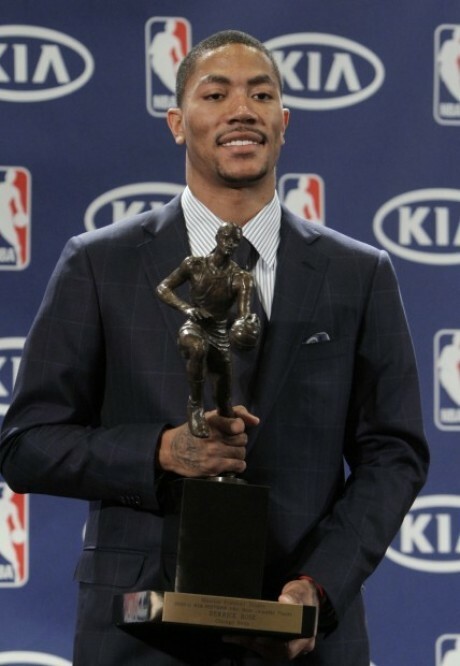 Derrick Rose was the major part of that, gathering not only the people's choice, but that of his peers as well. Pound for pound there can argument to the statistical fortitude of Derrick Rose's MVP argument, averaging 25pts, 7ast, 4reb, and shade over a steal per game, but his grit went without comparison. Rose lead a Bulls team struggling through injuries and identity to a leagues best merely laying their hat on defense and Derrick Rose. Unfortunately for Chicago's Superman, his kryptonite was teammates. Without any significant help the Miami Heat were able to stifle Rose with multiple double and triple team looks. 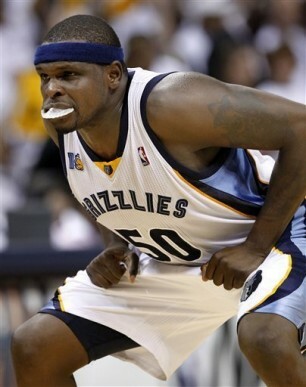 Inevitably flustered, Derrick couldn't rely on anyone to make knock down jumpers or assist in the pick & roll game. So such is life and the Chicago Bulls lost to the Miami Heat in Chicago. Zach "Z-Bo" Randolph, OJ Mayo, Marc Gasol. Not exactly the Big 3 everyone was expecting to catch headlines this postseason, but the trio and Memphis Grizzlies turned heads with team play and physical dominance. The Grizzlies took winning their first game ever into their first series win. They also became the fourth 8 seed to advance in the playoffs since the format was expanded to seven games in 2003, defeating the San Antonio Spurs to advance to the conference semi's. The Memphis Grizzlies met the Oklahoma City Thunder in the Western Conference Semi-Finals. Going blow for blow with the high scoring young squad, a rivalry was born between the two. Going seven games, the Grizzlies ultimately fell to the Thunder but giving all a feel good moment in the process. The Thunder eventually lost to the Dallas Maverick's in five games. Hopefully barring injuries there is more where that came from. Kevin Love burst on the scene this year as one of the league's best front-court players. Surpassing names such as Charles Barkley, Kevin Garnett, Moses Malone, and Yao Ming, Love went for 31 points and 31 rebounds against the New York Knicks. Love didn't stop their either, Love went for Moses Malone's record of double double games at 51. 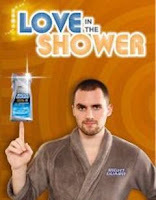 Love ultimately surpassed that mark, recording 53 consecutive double double's. Love was awarded the Most Improved Player Award, finished the season with the leagues most rebounds (1,112). As if we as professional sports fans had enough of owner/player "Bad Girls Club" bickering over money. The debate bug has yet again bit another one of our favorite sports. In light of the NFL's CBA labor talks, the NBA has now begun preliminary discussion on a new agreement. The general consensus early is that the two sides are far apart on a deal. But let's hope the two can come together quickly because I think we all can't wait to see where this year's crop of NBA talent goes.